Hello, and welcome my friends to another great day in the land of weight training, muscle-building, and strength gains. Really, if all of those are occurring, it truly is a great day! Last time on Muscle Talk, we discussed the muscles of the biceps and triceps. Today of course is always a little more fun, because now we get to talk about what the best methods are for training those muscles we learned about. If you’re as ready as I am, let’s dive in! To briefly recap, the anterior part of the arm consists of the following four muscles; the biceps brachii, the brachialis, the brachioradialis, and the coracobrachialis. 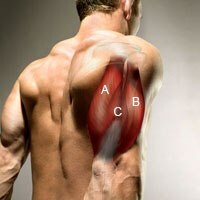 The posterior aspect of the upper arm consists of only one muscle; the triceps. We have included the anconeus as part of the upper arm as it works very closely with the triceps during elbow extension. Now that we have refreshed our memory, let us begin to look at how to best train these muscles. Before we do that though, I would like to say talk generally about our muscles. Over the past few weeks we have discussed mostly the larger muscles that will actually help to raise our metabolic rate, and in turn use more calories to support themselves which indirectly leads to fat loss. Yes it is true that the more muscle you have the more calories you use even at rest. Having said that, even the largest of arms are small in relation to the big muscles of our legs, and back, and therefore will not contribute greatly to the need for many more calories. While are arms are great to look at, and can definitely draw looks from across a room, when we are working our upper arms we are really doing accessory work. This means that these exercise are not going to have a large impact in a better performance in sport, or functionality. Are they still important to train? Absolutely, but knowing when to train them can be just as important as actually training them. We all want to have those vanity muscles that take most of the glamour, but training our arms before we perform compound exercises (which recruit more muscles) is counterproductive. Also of note, is that our upper arms are active in almost every upper body exercise that we do. For example, a chest press also targets the triceps, while any form of a pull-up also targets the biceps. Therefore if you are training various muscle groups, upper arms should be trained last. This is also important to consider when designing training splits. We ideally want our arms to be relatively recuperated before using them on the big, compound lifts. focuses on the anterior muscles, as they are the ones that get the most recognition. When you break it down though, the triceps make up the bulk of the arm, so if our goal is to add inches to your arms we should be training our triceps primarily. If all three heads of the triceps are trained equally, they will definitely set you apart from those individuals who predominantly train biceps in hope of growing bigger arms. Seeing as the biceps are the more popular of the two, let’s start with them. One of my favourite exercises for training the biceps is the barbell curl, because if the grip used is shoulder with or narrower, this focuses on the outer head of the biceps with great intensity. To add variety and to be able to train both heads of the biceps grab the bar in a wide grip. This simple alteration will shift focus to both heads. Variation is often the key to stimulate new growth. Another biceps exercise that very effectively works the biceps is a close-grip, supinated chin-up. It will also target various muscles of the back, but because of the supinated grip it will actually target the biceps and the brachioradialis. Also because we are using our own body weight as a load, the other muscles within our posterior kinect chain are assisting in the lift. This means we will be able to do more work. The larger the load, the greater the potential there is for growth. The last exercise I wanted to share with you is none other than the curl. This exercised is performed while seated, and the elbow is in a fixed position against the inside of the knee. Due to this restriction, the individual is prevented from gaining momentum by swinging to lift the weight. This is important because when the biceps are forced to do all of the work, a full contraction is the end result. When the muscle travels through a full range of motion, once again there is a greater potential for muscle growth. Triceps are the more important of the two muscle to work in the upper arm from the point of view of growing bigger arms. The biceps (or guns as they are known in the world of a certain gym attending demographic) are great for arm size, but do not compare with the trifecta that is the triceps muscle. When this muscle is trained effectively, and a lean body mass is obtained, the triceps effectively have the appearance of a horseshoe. This is something to strive for as the appearance at low body fat levels is quite stunning. One of the first exercises I believe to crucial in the development of this horseshoe shape is the closed grip bench press. It targets all three heads of the triceps equally. Another reason that this is such a great exercise is because it’s a compound exercise the with emphasis on the triceps muscle. Not only are we gaining strength in the upper arm, but our bench press and shoulder press will thank us later. Our strength in any pressing movement will increase dramatically as our close grip bench does. Skull-crushers are another great triceps exercise that targets the long head of the triceps. This is the largest of the three heads, and should be the focus of your training for triceps if overall arm size is your biggest concern. Also, because this exercise tends to cross over our face, a spotter should be used when using maximal poundage. Anytime a spotter is used it allows us to lift as heavy as we can to, and to failure. Lifting to failure is the most important component in order to stimulate maximum growth. Standing or seated over head triceps extension are also great at isolating the long head of the triceps muscle. Granted you may not lift as heavy as the skull-crushers, but an effective isolation exercise for sure. It also can be used as a finisher, or as a shaping movement. This will allow for some rep variance as well, and I for one do believe in varying rep schemes. The last exercise I wanted to share with you is dips. This is a great exercise as it targets all three heads of the triceps just like the close grip bench press does. This exercise when done correctly can specifically target the triceps. The trick to this is to maintain our body in a straight line from head to toe. When the body is leaning forward, more work is done by the pectoral muscles. As a result the work will become easier for the triceps. If our triceps are adequately strong, then attempt them with a rigid torso as our strength will increase due to our triceps being forced to bear the brunt of the work. Dips are typically a body weight exercise, and as we become stronger we can add more reps as well as sets. When that is no longer challenging enough, a belt can be used if available to add weight to increase the difficulty of the exercise. If a belt is not available, pre-exhausting the muscle by doing an exercise like the cable press with a straight bar will work also. Beginning a set of dips with the triceps fatigued will force them to work extremely hard. That’s a great start to building yourself some attention-getting arms that are both balanced and big. Not to mention, there is some carryover in the other lifts. Any push or pull will be enhanced with stronger arms to some degree, so there are some functional benefits as well. The benefits are just not as great as those from the compound and full body lifts, as the arm muscles are much smaller than the primary muscles used in those exercises. Tomorrow of course brings us back to the series that is very quickly gaining popularity with a wide cross-section of fitness enthusiasts. I of course speak of the Fat Loss Facts series. I always look forward to posting every article every morning, and I will be especially satisfied tomorrow morning to make the latest installment available to you. Join me then, will you? 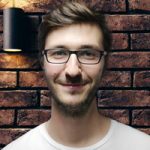 Nice article, but you did not mention how long it take to see effect on arm?